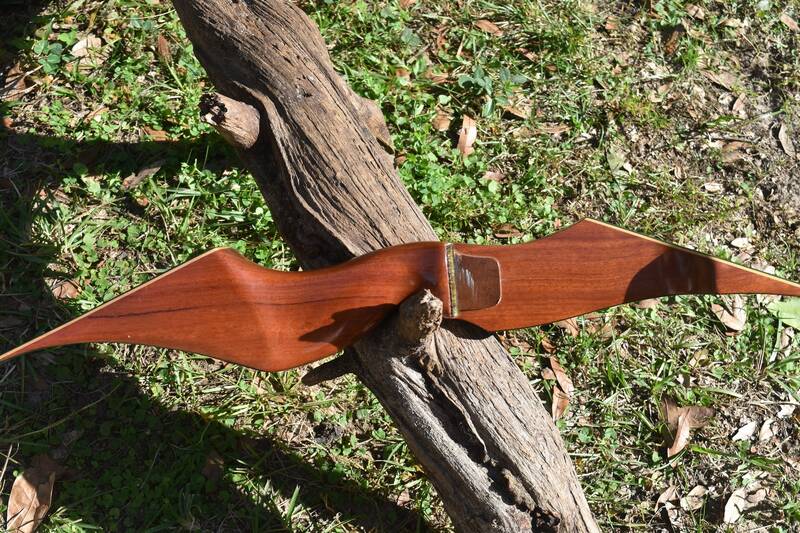 Archery bow, vintage Darton clipper recurve bow. 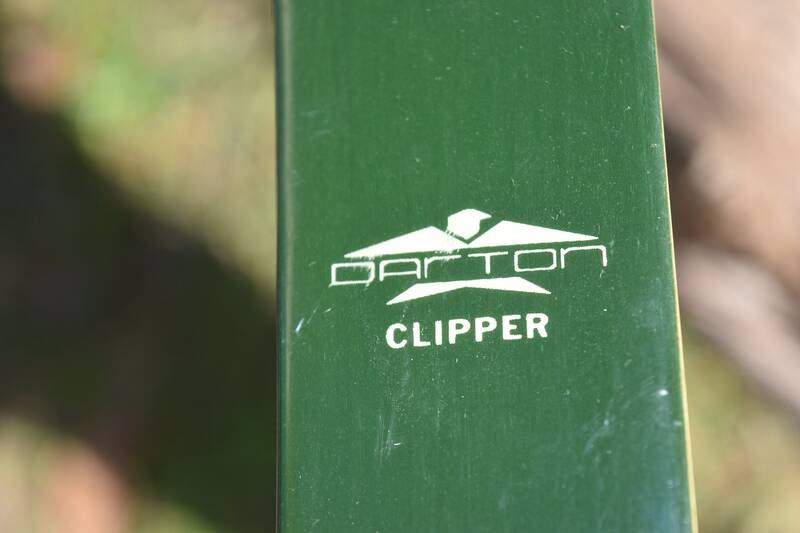 Archery bow, vintage Darton "clipper" recurve bow. 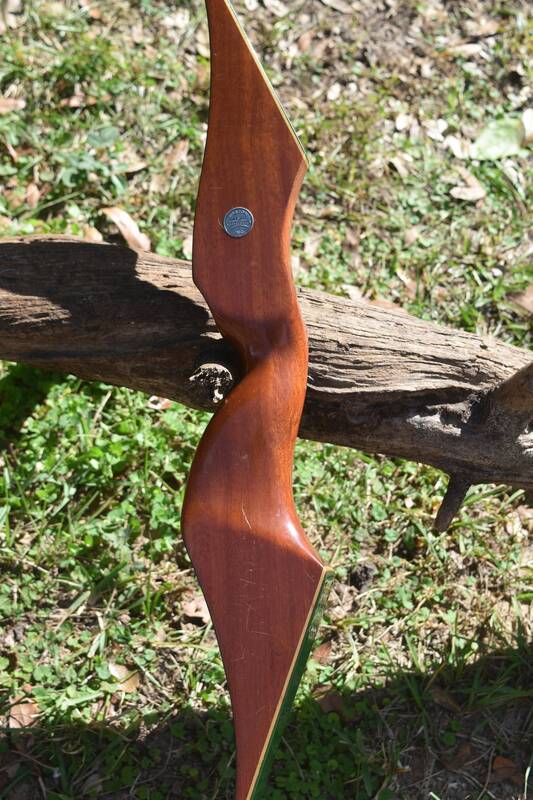 This beautiful vintage recurve bow is a Darton "Clipper" and is in great condition. 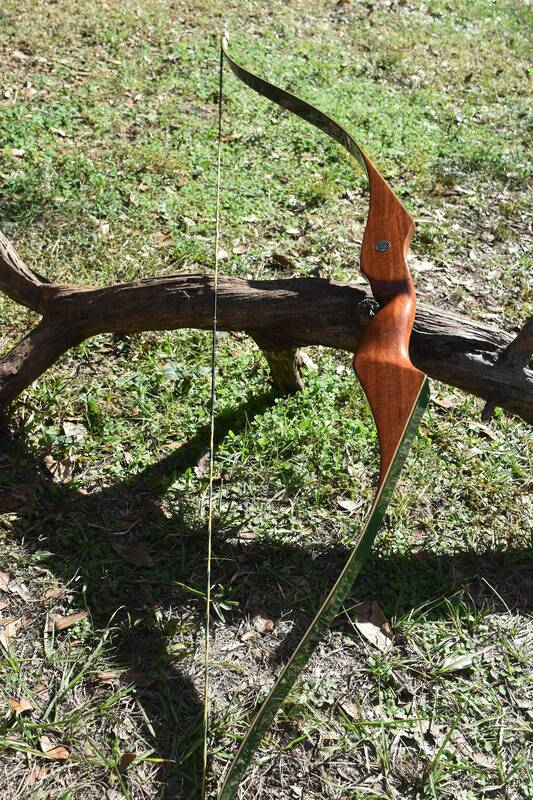 The bow has an AMO of 60 inches and is 21# @ 28 inches. 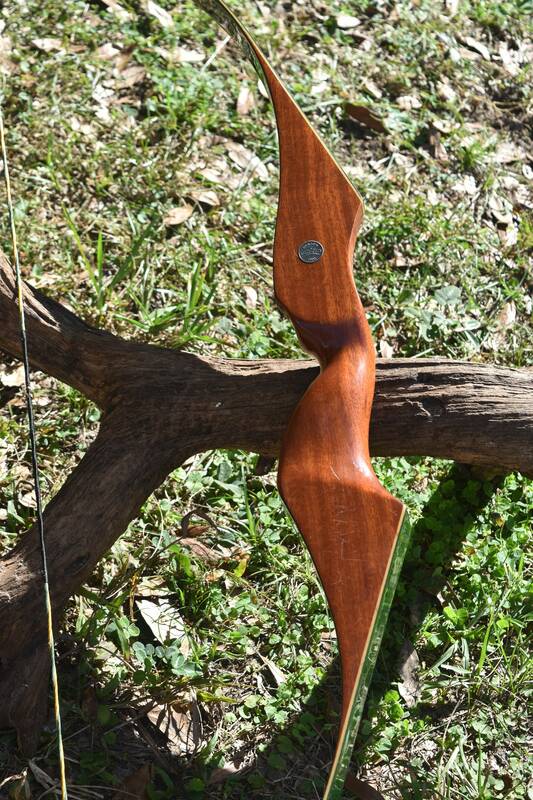 This bow is just so pretty and looks like it has barely been used for it's age. 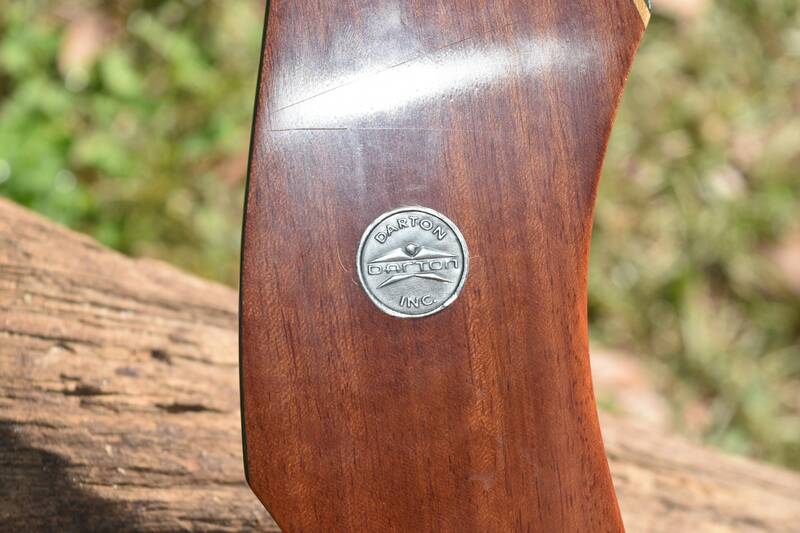 There are a few superficial scuffs on the riser but otherwise flawless. 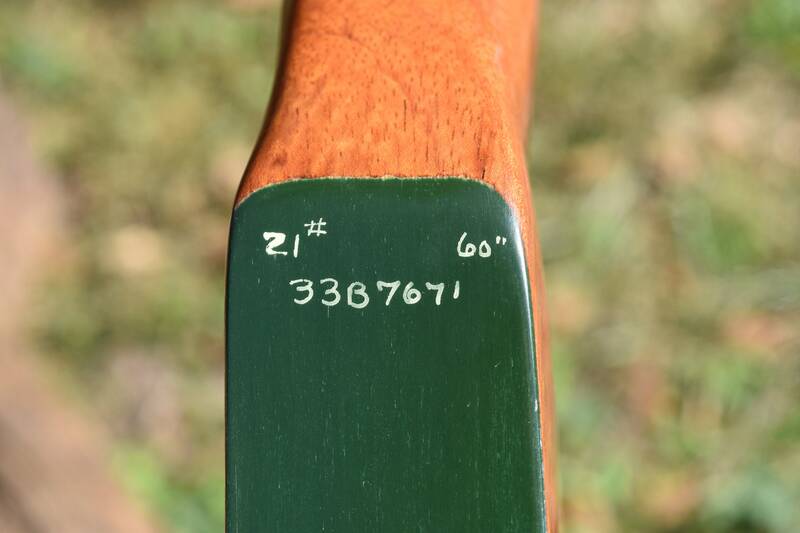 Its reddish wood riser is a great contrast against the dark green fiberglass. 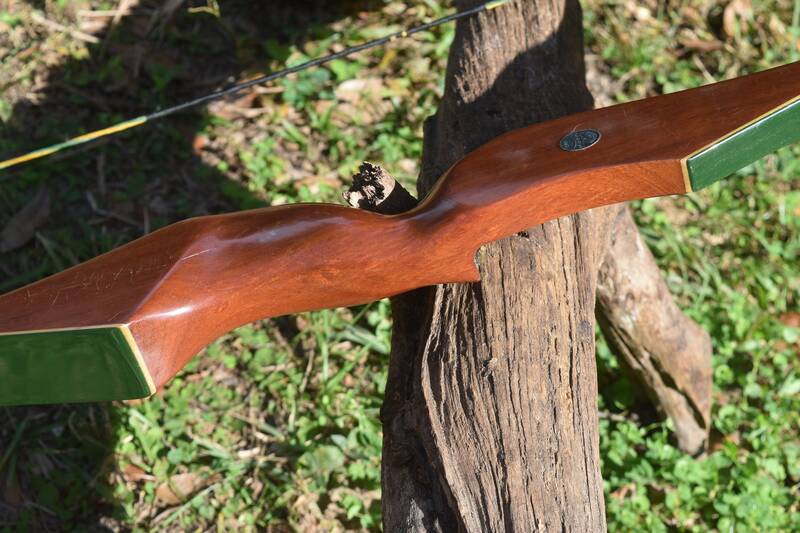 It is also a really good and smooth shooter. 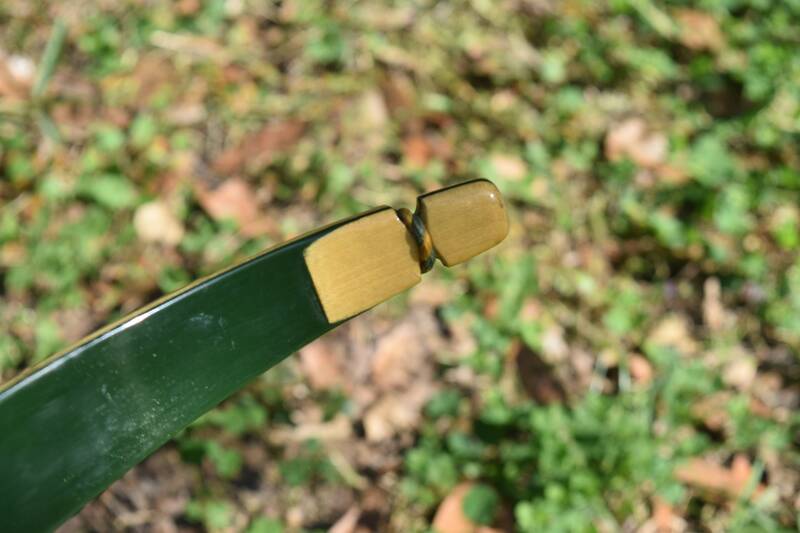 The bow comes equipped with a green and gold Flemish twist string with serving and nocking point, making it ready to shoot upon arrival.